Various types of people are expected to thrive through distinct learning approaches. This notion applies to learning social dance as well. Some individuals learn better in a private lesson setting, comfortably allowing them to advance at their own pace. 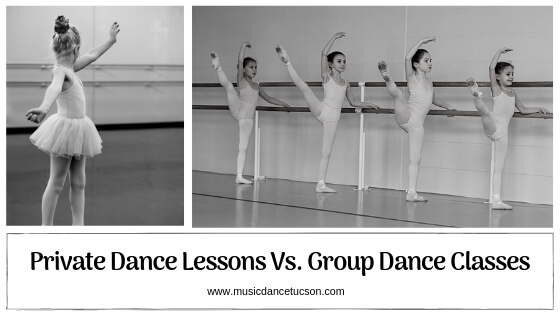 While others, on the other hand, improve more when surrounded by other people in a group dance class. But regardless of a person’s preference, both types of lesson layouts actually have their own advantages. The guide below can help you decide which method is suitable to address your present dancing needs and skill level. You intend to learn and progress a lot faster: In a vis-à-vis setting, your instructor can easily personalize your lessons according to your skill level. You can also ensure that you will be given undivided attention, maximizing the entire learning experience. You get anxious when dancing with other people: It can be a bit overwhelming for others to dance in the presence of other people when they aren’t confident enough to do so. A helpful means to overcome this fear is by taking private dance lessons. You will find yourself quickly gaining confidence with the help of your instructor’s encouragement and guidance. You need to learn partner dances for an event: Participating in private dance lessons can get you prepped for formal events like marriage ceremonies and black-tie-events. In this way, your instructor can solely focus on coaching you on a definite dance style, depending on the event you will participate in. You are interested in experiencing social dancing firsthand: One good approach to practice immersing yourself in the spirit of social dancing is by taking group dance lessons. With this approach, you will be actively changing partners, enabling you to adjust according to your partner’s dancing style. You aim to meet and interact with new people: Without a doubt, participating in group dance classes is a good way to make new friends. It also gives you a chance to connect with other people who have the same dancing goals as you do.